Cruising is one of the best ways to travel. A cruise vacation is perfect for a romantic getaway, a fun family trip, a reunion with friends, or a solo adventure. On a cruise, you’ll experience multiple destinations with ease on immaculate vessels that sail to all corners of the world. From river cruises on Europe’s beautiful waterways, to ocean cruises through a Caribbean paradise to small-ship cruising in the Galapagos - the possibilities are endless. But where do you begin? 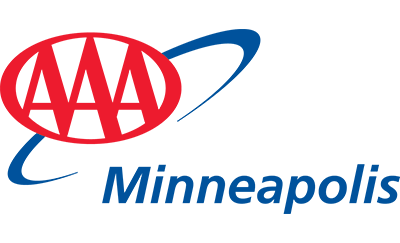 Whether you’re a seasoned cruiser or new to the scene, AAA can help you find the cruise line, vessel and itinerary that’s right for you. AAA Travel Agents know the ins and outs of the industry, and can assist with every aspect of your trip to make sure you get the vacation you’ve been dreaming about. When you book by 4/30/19! Book by 5/31/19 and receive DOUBLE AAA Member Benefit! Combine with Picture Perfect Savings offer to save up to $4,000 per couple! Explore Europe on your own! Roundtrip flight on select 2019 Antarctica departures! Onboard credit & more! Book by 10/31/19. Plus additional benefits for a carefree experience! Receive up to $600 onboard credit, plus FREE room upgrade! New to cruising? Here’s what you need to know. When it comes to cruising, no doubt about it, the best-laid plans result in a great experience. Cruising is a relaxing, enjoyable, hassle-free getaway, but planning involves more moving parts than other vacation packages. Here are some “know before you go” tips to consider.